Maersk House is the head office of The Maersk Company Ltd in the London Borough of Tower Hamlets. This prestigious building is surrounded by attractive planting and stylish lighting. The boundary demarcation is provided by a combination of a low wall faced in polished slate and a fence supplied by Lang+Fulton. 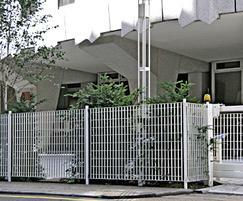 A Roma-3 grating fence with a 62x132mm aperture was chosen to complement the contemporary architectural styling of the building. 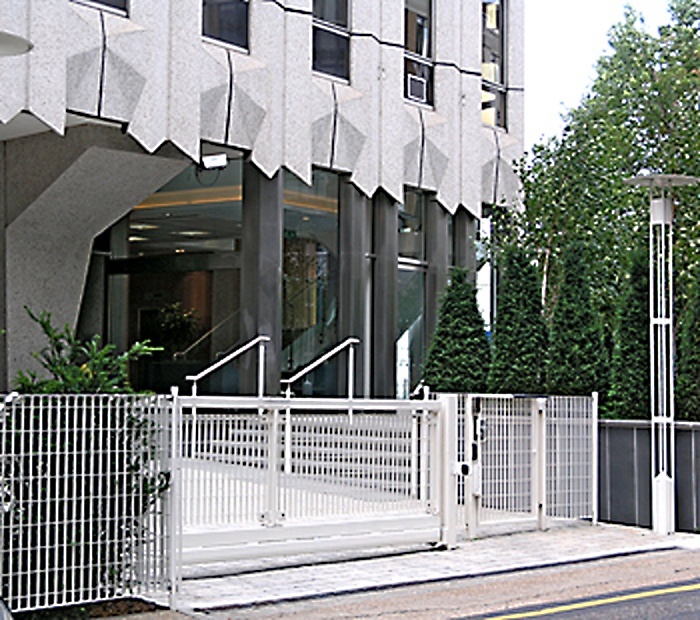 The contract included pedestrian access and two sliding gates which were supplied to take automated operating gear which was installed by a specialist company. 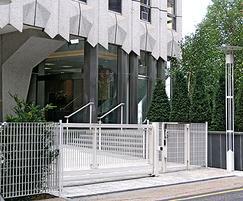 Fencing and gates were hot-dip galvanized and polyester powder coated in white.